This is the only “coffee” I need in the morning! 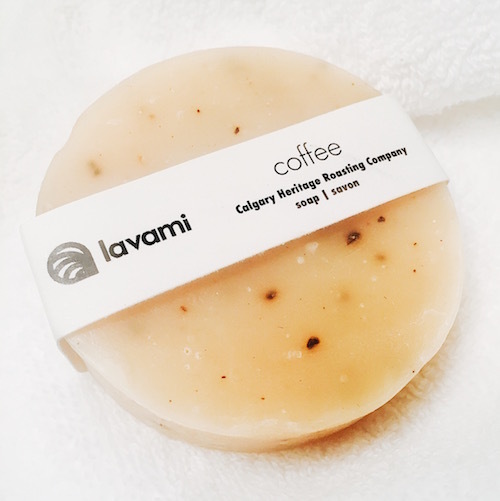 I found this Lavami soap (made with cinnamon, vanilla and finely ground coffee) at Nicole Bridger in Gastown, Vancouver. (Or purchase online at www.lavami.ca.) I also bought the Kombucha, The Blonde, and Eucalyptus – equally awesome products. I hadn’t heard of them before but am now keeping an eye on them…Not only is the soap a great exfoliant but it smells amazing (yes, it smells like coffee) and their skin care philosophy is in line with what I’m constantly looking for – they make products that are free from toxic ingredients like synthetic preservatives, fragrances and colorants and source ingredients that are sustainable and non-GMO. Thanks for these great products Lavami…looking forward to seeing what’s next!